ASSAltenburger Spielkarten, Cartamundi’s German brand, and Ferrero Kinder had long been partners before the latest co-operation in 2015. As is often the case, the collaboration between both brands started on ground level, with us producing cards for Ferrero Kinder, simply adding one of their various logos instead of our own, and calling it a day. With first base successfully behind us, the following years saw Ferrero Kinder’s trust in Cartamundi grow with every promotional action they put in our hands. Given the opportunity, step by step, to prove our worth in design, Cartamundi took each one of these chances with both hands, and is proud to say this resulted in plenty of shared success and, eventually, a very strong relationship with Ferrero Kinder. With 2015’s Christmas season coming up, Cartamundi felt that the time was ripe to take things further, and to pitch a complete promotional action to Ferrero Kinder, on our own initiative. Kaufland, a large German supermarket chain, and itself a loyal Ferrero Kinder retailer, would be the perfect place to start from. The yearly advent action, during which Kaufland offers a different gift to their customers on each day of the Christmas calendar, was going to feature a Kinder branded gift designed and made by Cartamundi in 2015. With a new ace up our sleeve, we couldn’t wait to get the ball rolling. 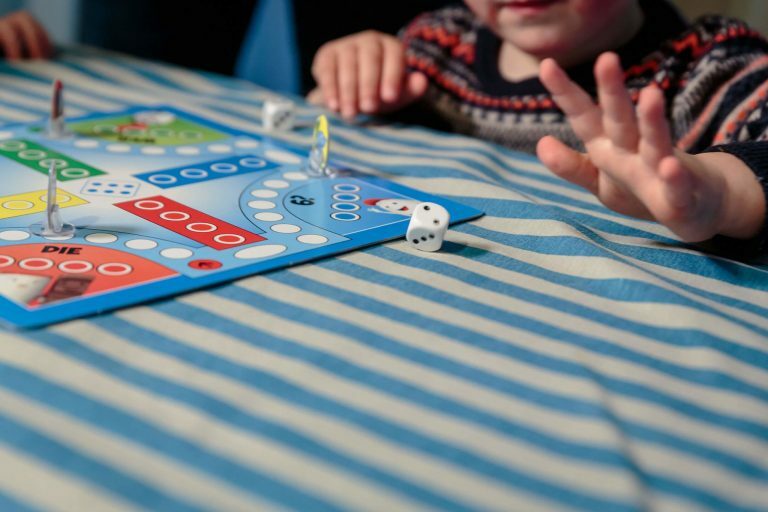 Even though traditionally a card game manufacturer, Cartamundi recently acquired a wealth of knowledge regarding the production of board games, and was eager to put it to good use. In April of 2015, Ferrero Kinder approved of the concept we came up with, and Cartamundi started working on the Kinder game box. Ferrero Kinder, although mostly known for the two brand names in its moniker, carries a wider range of brands, and Kinder itself operates as an umbrella for four sub-brands: Hanuta, Kinder Riegel, Duplo and Kinder Country. Each of these would be independently represented in the Kinder game box. 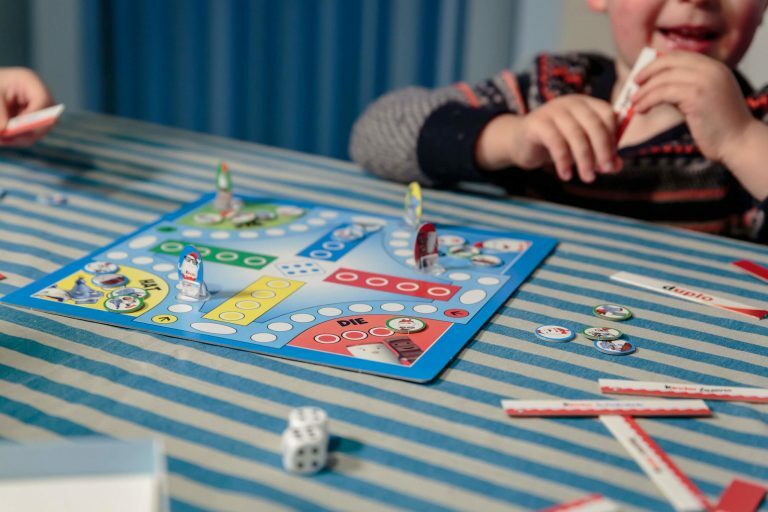 The Kinder game box consists of four classic board games. 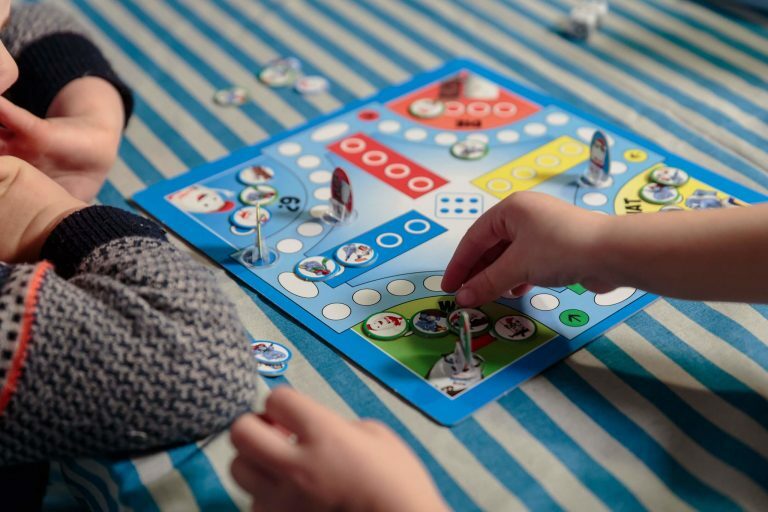 Each game visually represents one of Kinder’s sub-brands, adding to their visual identity and setting them apart, with the branded box tying them all together as components of the Kinder brand. A stellar example of Cartamundi’s services in concept development and branding, and of our relationship with Ferrero Kinder, the game box, although originally designed for Kaufland’s advent action, was integrated into Ferrero Kinder’s own Christmas promotion package and was picked up by various other retailers.